A great fundraiser tip for non-profits is to use social media to promote your fundraiser. Using this powerful marketing tool during a fundraiser can help increase awareness about your event and your non-profit. This will increase exposure for your non-profit because the guests’ posts appear on their social media pages for their friends and family to see. Create hashtags for all your social media accounts and provide the information to guests. Facebook, Twitter and Instagram are great social media platforms that your guests can use. Hashtags will help interested people navigate back to your non-profit to learn more about the event or your organization. 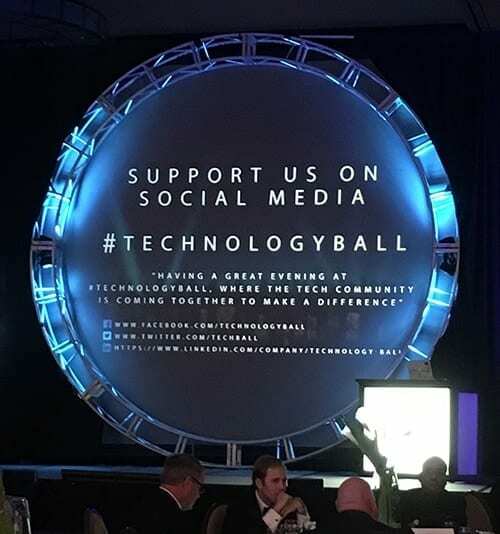 If you don’t have accounts for these platforms, make sure you set up accounts several weeks before your event and set up hashtags for both your organization and the event specifically. Make the information easily accessible by displaying signs throughout the venue. Here is an example of a sign displayed at a recent Murad Auctions event. Provide selfie sticks for guests to use to create fun pictures they can easily post to their social media sites. 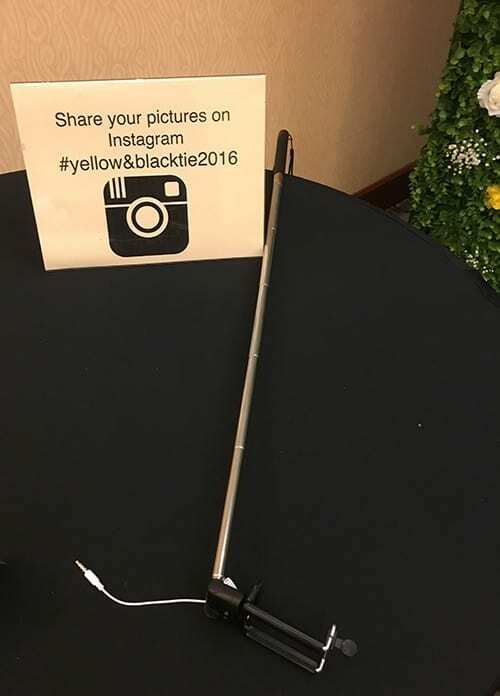 The selfie sticks can be placed on decorated tables throughout the venue for easy access with signage including your hashtag and verbiage encouraging them to post the images to their social media. 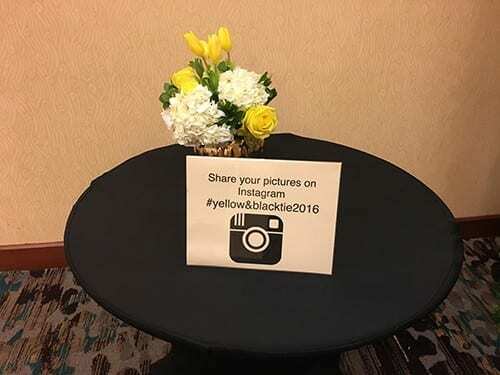 Help make the social posts visually appealing by providing photo and selfie stations for guests to use. Create these stations by placing several signs throughout the venue. They should have visually-appealing, easy-to-read fonts with the name of your event, the name of your non-profit, your web address, and a great graphic related to the theme of your event. 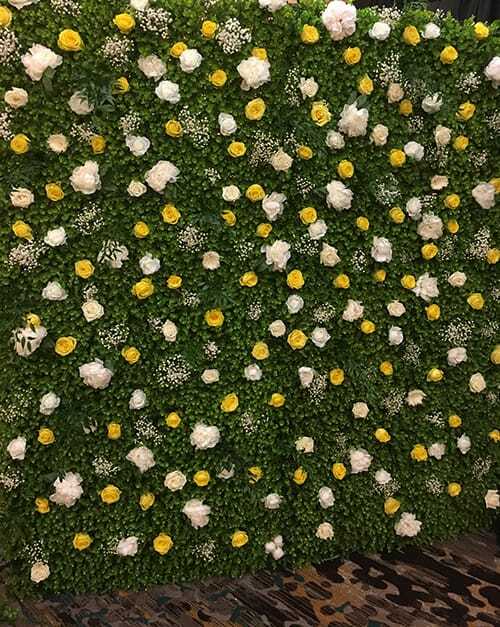 Backdrops can also be used at the stations. They can be related to your event theme or simply be beautiful artwork or scenery like the photo below. You can also provide a photo booth at your event. Our photo booth allows us to email guests their picture to be instantly uploaded to their social media. Creating a step and repeat background instantly connects the picture to your organization. The system also sends all the pictures to your Twitter account set up for your event! You will receive all the pictures after the event to be uploaded to your Facebook page and/or website. Send an email to your guests after the event with the link to your website. This drives your guests to your site to learn more about your organization! To get a quote regarding this photo booth, contact us. Designate volunteers to ask and encourage guests to use social media at the event. Briefly explain to guests how their social posts will help spread the word about your organization. The volunteers should tell guests about the selfie sticks, photo stations and hashtags. Use these fundraiser tips and ideas to brainstorm with your fundraiser committee to create even more ways to take advantage of the benefits of social media at your next event. By the way, be sure to share this information on your social media! Just use the hashtag #muradauctions. Thanks!! Murad Auctions offers professional charity auction services to non-profits for successful benefit auction events. Since 2000, Murad Auctions has helped hundreds of non-profits achieve their fundraising goals. Murad Auctions relies on years of experience, crowd-pleasing enthusiasm and technology to take benefit auctions to the next level. If your organization needs advice on your auction event, please contact Murad Auctions at 972-238-0249 x 102 or contact us. We will be happy to help make your non-profit fundraiser a success.